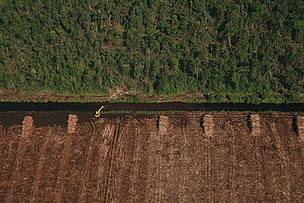 Jakarta – WWF has welcomed an immediate moratorium on natural forest clearing, and new peatland development in an upgraded Sustainable Forestry Management Plan (SFMP 2.0) announced today by pulp and paper company Asia Pacific Resources International Ltd (APRIL). “The enhanced Sustainable Forest Management Policy announced today is APRIL’s response to longstanding calls to quit deforestation by civil society groups. WWF hopes APRIL can fully implement this commitment considering its potentially positive environment and social impacts,” said Dr Efransjah, CEO of WWF-Indonesia. While optimistic, WWF is still cautious on APRIL’s full and strict implementation of its policy and intends to closely monitor progress in partnership with stakeholders such as NGO coalition Eyes on the Forest. Under the new policy, APRIL has committed not to acquire new land, licences or suppliers with plantations developed in breach of the forest safeguards in the policy. 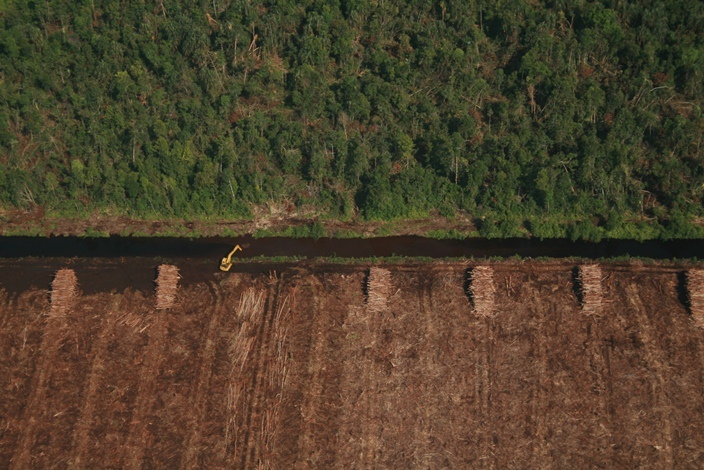 While APRIL has committed to no new clearing or draining of forested peatland, the policy allows development of degraded peatland to continue based on recommendations from independent peatland experts. The new policy includes a commitment to protect High Carbon Stock (HCS) areas identified in accord with the HCS Approach prescribed by the HCS Approach Steering Group. As a member of the Stakeholder Advisory Committee (SAC), WWF expects to continue working with other experts and civil society groups to support and advise APRIL in meeting its commitments and its transition to become a more responsible producer. WWF is also calling on APRIL to include more representation from civil society groups and to comission an independent review of its progress in implementation of SFMP 2.0. WWF urges APRIL to respond to and follow up all recommendations and inputs from SAC and key stakeholders in a clear and transparent manner. “This strengthened commitment by APRIL is an encouraging step along the pathway towards responsible and sustainable production. We call APRIL to always respect tenure rights of indigenous people and take serious efforts to resolve existing social conflict as they are committed to in this policy,” said Aditya Bayunanda, WWF Indonesia Forest Commodity Market Transformation Leader.